Polls in Pakistan: What issues Pakistani voters are concerned about? As Pakistan heads to polls, the voters are much concerned about the solution of the real issues of the country. In many ways the general election of 2018 in Pakistan is very important. Firstly, the traditional politics in the country has been rejected utterly as the voters specially youth has different parameters to evaluate the performance of governments. Secondly, the youth is seemed very active population during the on-going electioneering. 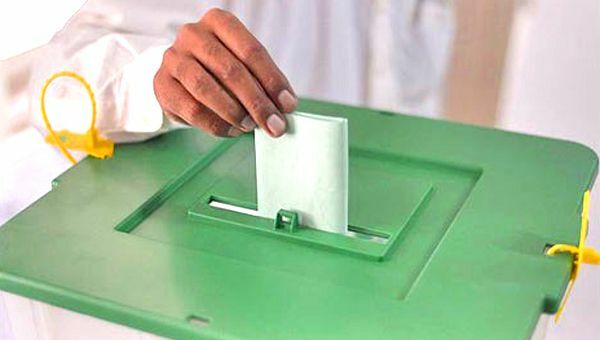 According to the United Nations Development Program (UNDP) out of 106 million registered voters, 46 million young voters will use their right to vote in the upcoming general elections in Pakistan. Of this youth population, 17.4 million young voters are in age bracket group of under 25. This means that the young voters are very enthusiastic and are concerned about the country’s real issues. On the contrary, there is also a sufficient number of voters who support their political parties on the basis of arch slogans such as roti,kapra aur makan, and on the basis of ideology-which seems otherwise and fragile in the existing political parties. The young and the progressive voter wants change in the existing social, political, and economic condition of Pakistan without showing any concern about who rules the country; whether an ideology-oriented party or the party that lacks ideology. Among all the major issues that country is facing, poverty is the uphill problem. This is also very least discussed issue in the political manifestos of the political parties. Moreover, the in most debates of the talk shows and in political gathering, discussion and resolving the poverty issue is left out. However, It is quite odd that the local discourse on such a serious issue is very elusive in our country. The successive governments in Pakistan have failed to address this issue. The governments in their annual published Pakistan Economic Survey (PES) show statistics of poverty between 24-28 percent which show that the non-serious attitude and breach of information to the public. Thus, the shining-eyed voter aspires as well expects the upcoming government to reduce the level of poverty in the country significantly through objective programs. Pakistan’s public health structure is tottering .Those who are unable to afford the heavy expenses of private hospitals have to get services of public hospitals which lack competent doctors, equipment and modern machines for the treatment. Pakistan has one doctor for 1222 patients that seems pathetic for better treatment to the patients. As the health sector in Pakistan is beset with numerous problems, therefore the voter is very much concerned about the reforms in health sector. Every year, 2 percent of GDP is allocated to the health sector which is very least compared to the developed countries that spend 7 to 15 percent of their budget on health. The voters in Pakistan are all set to vote for the party who have better policy regarding improvements in health. Faced with a precarious economic situation characterized by heavy external debt and faltering productivity, Pakistan’s room to maneuver with health sector reform is quite limited. The upcoming elected government has, by all means, to resolve this issue promptly to remain popular for the next terms because voters of this age have bull’s eye to judge the performance of government on such issues. Provision of education is the responsibility of state and the successive governments have failed to improve this sector. The political parties ignore this serious issue as they wish o rule uneducated masses.In Pakistan 22.84 million children are out of school. The major political parties have made tall claims about ‘transforming’ education in their election manifestos but have made a passing reference to school education. The voter will judge the performance of previous governments about the steps taken by them for the provision of quality education to their children. The new government has to focus on this unaddressed issue. Another big issue that has been flagged by the voter is corruption. The corruption is very much debated issue during the last 5 years. Although the voter of rural Pakistan is not so much concerned about the corruption, yet the urban and educated voter knows the consequences of corruption and his/her vote is bagged to the candidate who claims to eradicate corruption. The urban population of the country will definitely support this concern of eradicating corruption. Therefore the next government will have to focus on impartial and across the board accountability and has to eliminate corruption from public service departments. The energy crisis is also the issue the population of Pakistan is concerned about. The energy crisis has hindered economic growth of the country. The unemployment , and poverty issues are associated with the energy deficit in the country. Although big promises were committed by the successive governments, yet none of those could resolve the issue on long-term basis. During the electioneering in Pakistan , all political parties are busy in criticising each other rather than discussing the real issues of the country. These are the major concerns of an ordinary voter in Pakistan and all these uphill issues of the country need to be addressed on emergency basis as the new government comes in power after 25 July, 2018 elections. The political parties should present comprehensive plan to address these very serious issues rather than criticizing each other in election campaign rallies.